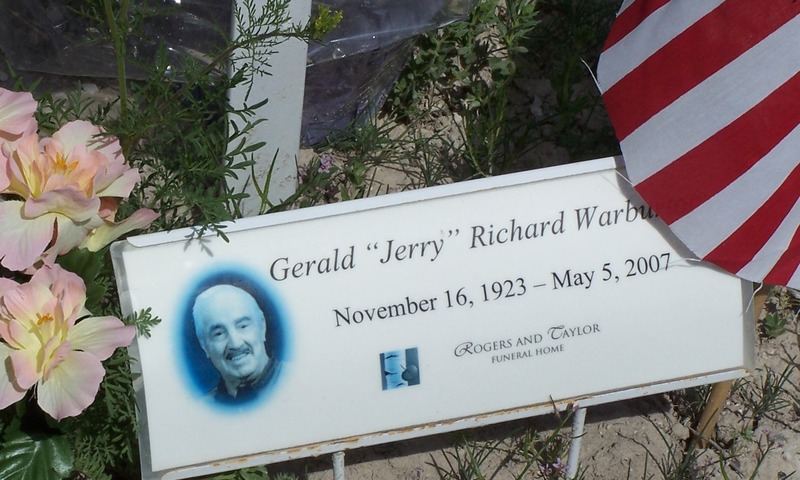 Gerald (Jerry) Richard Warburton was born November 16, 1923 to Delbert D. and Florence Shepherd Warburton. His brothers and one sister are: Dale, Robert and Dorothy. He was raised in Grouse Creek, Utah. He graduated from Box Elder High School in Brigham City, Utah and attended USU in Logan, Utah. He served in the Army during WW II. 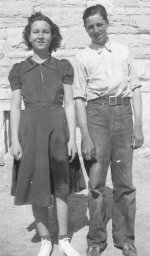 He married Barbara Marshall on June 21, 1952 and they were later sealed in the Salt Lake LDS Temple. They are the parents of six children. 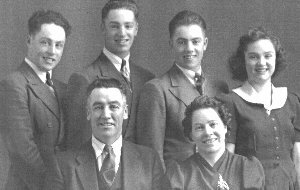 Their children are John, Wendy, Jeri, Richard, Camille, and Belynda. Jerry passed away Saturday May 5, 2007 in Tremonton, Utah and is buried in the Grouse Creek Cemetery.